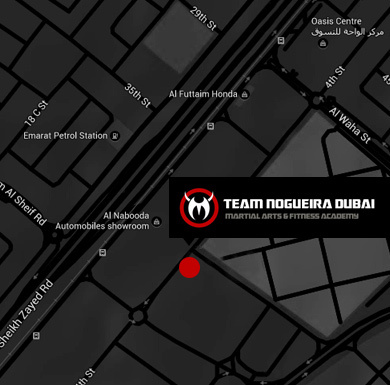 Team Nogueira Dubai is a Martial Arts and Fitness academy that focusses on empowering its members so they can achieve their optimum levels of health, fitness and confidence. The Team Nogueira name is established worldwide as one of the highest quality academies and we bring the highest standards of martial arts training to the Middle East with star coaches and excellent facilities. Team Nogueira Dubai sits at the pinnacle of sporting excellence, with our athletes competing in UFC, Bellator, Jungle Fight and other major international events. We offer a familial environment where members can challenge themselves physically and mentally, whilst training alongside some of the best fighters in the world. 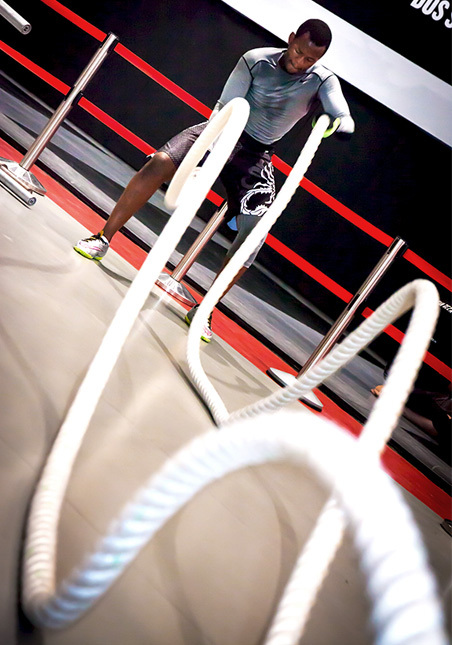 TND is the ideal place to achieve your fitness goals and become a true fighter. The Nogueira name carries a global quality standard that we impose in our gym. If you’re interested in martial arts, look no further: we offer beginner and advanced classes that cater to all experience levels, so that both white and black belts can develop their skills, grow in experience and achieve their goals under the instruction of our world-class coaches. We offer a variety of programmes for all lifestyles and ages, including Summer Camps for adults and children, as well as Ladies Camps which focus on women and their fitness goals. We also offer programmes aimed at Schools, Universities, Corporates and the Military. In addition to our regular camps and training, we are always bringing globally renowned martial arts fighters who teach seminars to our members, where they get the chance to interact with the biggest names in the sport and learn new techniques from the champions themselves. We have assembled a team of internationally proven martial arts and fitness professionals to ensure that you receive the very best quality instruction and guidance in the region. We have a world-class team of professionals that provide fitness and martial arts training across a wide range of disciplines. Whatever your skill level, fitness or competition goals, we have the right people to ensure you meet your objectives! We encourage healthy lifestyles built upon good nutrition, reduced stress and mental stability. As well as the many benefits that come from our fitness and martial arts disciplines, within our facilities we also provide a health café with options from protein shakes to full meals to ensure you get all the nutrients you need. Fitness is one of the lifestyle pillars we promote, and with a wide range of disciplines we ensure that no-one is restricted to only one workout. Try Muay Thai to improve your cardio and speed or give Aikido a chance to build mental and physical strength. Team Nogueira Dubai is full of fitness success stories, where people’s lives have changed since joining our family. It is universally known that martial arts help build confidence. Through practicing any martial art you will find ways to grasp a better understanding of yourself and what you are capable of. We believe that improved self-esteem is one of the best pay-offs of training at our gym: by learning how to win and how to lose, you will learn how to truly be happy with who you are. Words cannot really express the impact that Team Nogueira Dubai has had on my life. Training boxing here has improved my confidence, fitness and overall wellbeing and I am really enjoying the extra energy that I have throughout the day! Working out isn’t the chore that it once was, and I am so glad that I overcame my fear of starting something new. Thank you so much TND! TND is addictive… the support and energy is amazing, training is focussed and fun with a real family of people trying to get better – and helping each other be better. For BJJ, the combination of pushing the limits of my mind and body has had a very positive effect on my life. Obrigado! 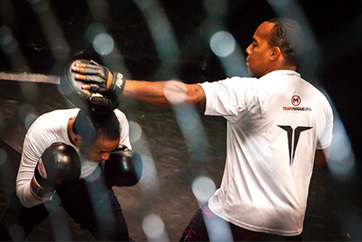 I never thought I could fall in love with a sport until I tried the Muay Thai discipline at Team Nogueira Dubai. It was as if I became a better version of myself, and not just because of the martial art, but because it really feels like coming home when I am there. Simply put, Team Nogueira has become my second home. The circuit classes at Team Nogueira Dubai help take you to the next level in your personal development, whatever your objectives. Since I am also a Jiu Jitsu student, complementing my training with circuits has really helped improve both my stamina and strength. Thank you Andrew and Team Nogueira!